Custom built tools to help you manage risk in ongoing operational decisions and discover insights in your data. Incite! 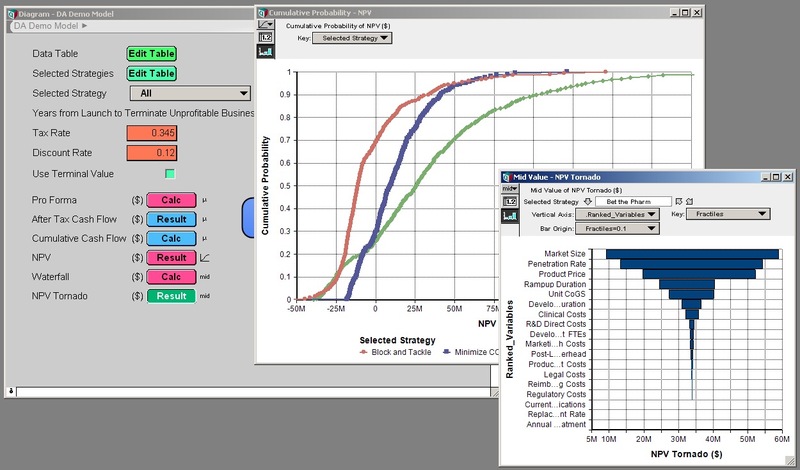 develops decision support systems with Analytica™ and the R/Shiny programming language to help you track and monitor operations, find important insights in your data, forecast project timing and budget outcomes, provide engineering sales support, make informed capital allocation decisions, and much more. 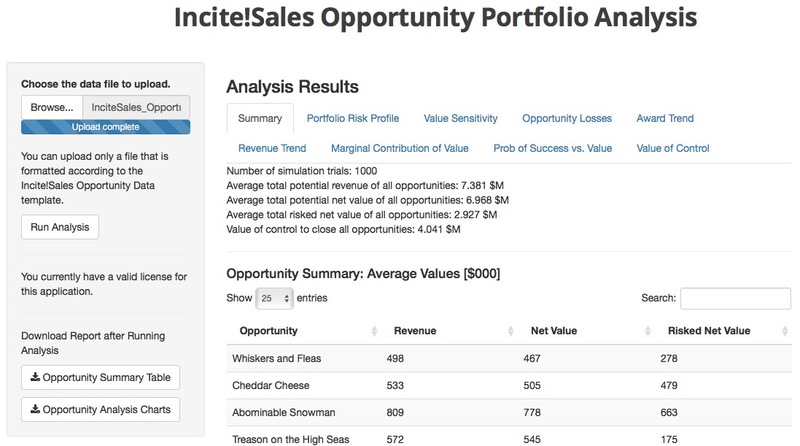 As with our Incite!Sales Portfolio Analysis App, we can develop these systems to operate on a stand alone basis or make them accessible through your enterprise network systems for diverse users and locations.